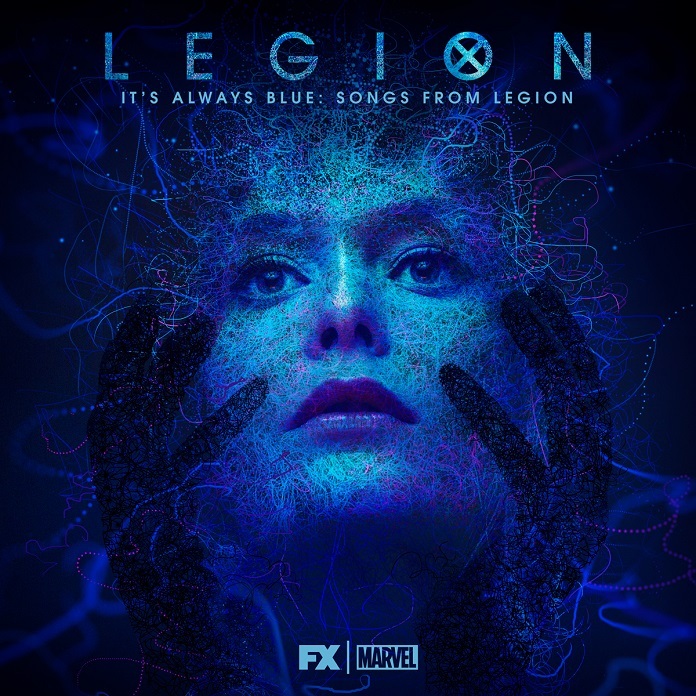 On August 17th, Lakeshore Records will digitally release It’s Always Blue: Songs from Legion, an album of classic songs re-imagined by composer Jeff Russo and Noah Hawley, creator of the television series Legion. The Marvel-affiliated TV series – which recently wrapped its second season on FX – makes clever use of familiar songs to underscore its story; Hawley would hand-pick songs that echoed the show’s plot and send them to Emmy-winning composer Jeff Russo (Fargo, The Night Of, What Remains of Edith Finch) for his ideas. Russo would re-record the tracks to fit the show’s style, and then later harmonize with Hawley himself on lead vocals. Legion follows David Haller (Dan Stevens), a man who mistook himself as schizophrenic to later discover he’s actually a powerful mutant. The show has an absolutely fantastic cast, including Rachel Keller, Bill Irwin, and UTR favorites Aubrey Plaza and Jemaine Clement. Other musical artists reimagined by Hawley and Russo for It’s Always Blue: Songs from Legion include the Talking Heads (“Burning Down the House”), Cream (“White Room”), The Who (“Behind Blue Eyes”), and Tori Amos (“Cornflake Girl”). You can view the full tracklist below. Best TV show ever and a soundtrack to match it. Buying it ASAP !! !